We want to say thank you for your excellent work. Your pictures are phenomenal, awesome and lively. You are a calm, cool and funny guy. It was a pleasure, to choose you as our photographer. You have an eye for the whole thing, sophistication, precision. It was kind of magic, as you was behind the scene, but still in the middle of us (or ninja skills?). Very discret, very cautious, but to the point and clever. It was our major day in our life, so we won’t forget you. Afterwards we are a bit sad, that we didn’t book you for the whole day to have more pictures. We will and want to recommend you to all of our friends. Again, thank you very much. Take care and keep on rocking. We would like to thank you for your outstanding work! When we met the first time to talk about our special day, we got a very good impression of you and your work right from the start. That made us feel very comfortable on wedding day and calmed our nerves 🙂 Not just ourselves, but all our guests told us, what a nice person you are and how perfectly you managed the day! The photos & the slideshow are absolutely stunning and we’ve literally watched them a thousand times! It is unbelievable how you are not only able to capture the moment but the emotions as well! Looking through the pictures, we can relive our wedding again and again and can still feel the intensity and love of that very day! We would like to recommend your work to all the couples who want to have unforgettable and highly emotional memories of their wedding! the Album directly arrived at Monday. We are really, really happy with it. The Box for the Album is also very nice and it fits perfectly to the wooden USB-Stick as well. All in all we are absolutely satisfied with your work and everything from the In-Love-Shooting, the wedding till the Album we just have received. We can and we will recommend you further on like to the coworker of Katja. We wish you all the best !!! thank you for making all the great slide show and the very nice and beautyfull photos!!!!!!!!!!! We are happy and very satisfied. thank you so, so much for capturing not only our civil wedding on Norderney but either our free wedding a few weeks ago! All our guests fell in love with the pictures of the Norderney slideshow we showede that evening. I started crying-again!-because of the beautiful pictures you took! We are so happy that we found you as our wedding photographer. We wish you all the best for the next year. Take care of you and your sweet little Family! We are so amazed about the pictures you took from us. Since we have received your memory stick we have went through the pictures so many times. And we love the pictures! And our family and friends are as amazed as we are. You can be sure that you are on the right track! Thank you sooooo much for everything. Have a great Christmas time with your family and a happy and healthy 2015! now that we had the time to have a look at all of our pictures, we wanted to get back to you with our feedback regarding your beautiful pictures. When we were on our honeymoon, we were constantly checking on your social media accounts if you posted anything new and found the picture of my bouquet while sitting in a small café in Saigon. Thanks for choosing it as your bouquet of the season. 🙂 It was really a pleasure to work with you! Your discreet way of taking pictures on our wedding day was just what we had expected and a lot of our guests told us, that they really liked how you stayed in the background and were nearly „invisible“ through the day. When we showed them the pictures, they oftenly said, that they didn’t even notice that you took pictures of them at all. Your pictures are beautiful and we are very very happy with them! You really captured all the special moments of our wedding day in a wonderful way. It was great working with you and we hope to see you again on some other occasion. We will definitely recommend you to our friends. Wishing you and your family all the best & a wonderful Christmas time! thank you very much for your great work. The slide show and the pictures are fantastic. Our family and friends were very enthusiastic about your work. We are looking forward when the USB – Stick arrived. When we plan our church wedding we will be happy if you shoot this event again.Have a nice day. many many thanks for this slideshow of greatness! The pictures are absolutely stunning and for me its only possible to describe your work with superlatives! The athmosphere you are creating ist amazing. Every single picture is – there is no question about that – is art. We got also a lot of very positive feedback on the online gallery and the quality of the pictures. Everybody is impressed by your creativity, the setting of the ligths in the pictures and your ability to catch a whole situation and transport the emotions of this situation in a single picture. With your pictures you manage to write the story of our wedding including the feelings, our tension and hapiness. We like to thank you so much for this wonderful documentation! We have just regarded the photos and your slight show-all i can say is that we are absolutely amazed! Aleks has started crying (honestly!) immediately after starting the slight show and i was so touched,that i had goose pimples all over!!! We are more than overwhelmed an so unbelievably happy that we have you as our photographer! Thank you so much for these unforgettable and unpayable moments,that you catched in photography for us!!! thank you so much! The pictures are not only wonderful! They are funny, they are sweet, they are emotional, they are exciting, they are perfect! Hi Roland,THANK YOU VERY MUCH for all those awesome pictures! We were really excited to see them and now we’re SO happy with the results. There are already SO many shot of which we said we will print them out in poster size. THANKS again for your efforts. We look forward to the whole set of pictures and the album, and Rike says Hi too. sorry, that I belatet answer you. We were on our honeymoon of AIDA, Mediterranean. Thank you for your mails and sending the photos! The slideshow is very very nice! Incredible great! I watched it yesterday again with my girlfriends! All are enthusiastic about your pictures. We love it! We are very grateful to you. You’ve done a great job. We have not noticed you on our weddingday. That was perfect! That was really the best day of our live. Unforgettable beautiful. And you’ve held it for us. We are so happy. THANK YOU so much! We will recommend you!!!! we’re so sorry that we couldn’t get back to you any earlier but I (Sarah) was having a pretty bad cold and the time before summer holdiays is always horrible…. But, Roland, the pictures are amazing! We love everything about them – it is so nice to see how the day went from the early morning to late night! Fanastic! And the music that you chose for our slideshow is perfect! We have already sent the link to everyone and everybody is absolutley moved and impressed – as we are! Then, when we thought it can’t get any better we received a beautiful wooden package and even more pictures to love! We love every single of them! Thank you so much for the passion and love you put into it – we are so happy to have found you! sorry for the late feedback but we´ve been so busy. Thank you so much for the amazing pictures and the slideshow. Thanks for the soulful images, they will always remain great memories. We could not imagine a better photographer. Deine Bilder sind der absolute Wahnsinn. Wir danken dir so unendlich das du dir eine solche Muehe gegeben hast und soviel Zeit in uns investiert hast. Schade das sich unsere Wege nun erstmal trennen aber vielleicht sieht man sich. Ja nochmal bei einem anderen Shoot. Wir wuerden uns freuen. Émilie and I are in Québec over the holidays and we’ve just watched the slideshow with her parents. What should I say? They are really, really great! We like them a lot. The first thing my new father-in-law said was something like „You picked the right guy“. So, one more time, thank you very much for creating these memories for us! thank you so much! Igor and I can only return the compliment, we both really enjoyed the shoot and are highly impressed with the naturalness and beauty of your pictures, which – by the way – even brought a tear to my mother’s eye. Wow! Awesome! So great! 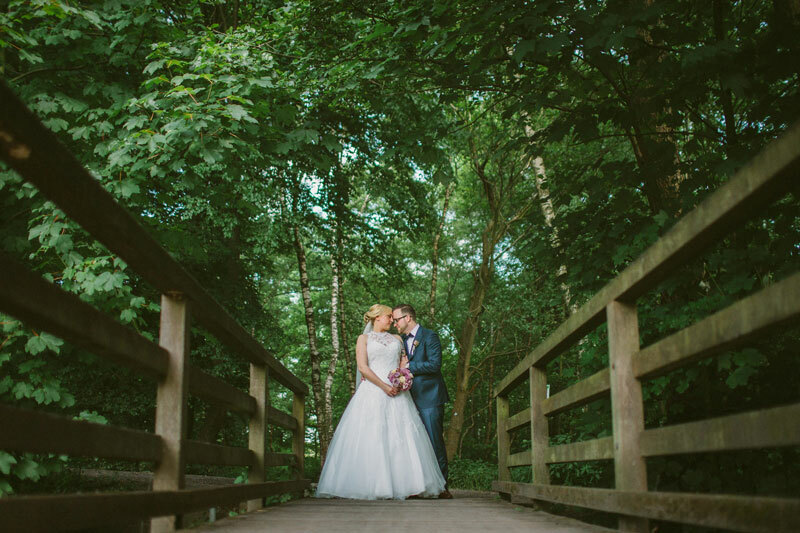 We are so happy with the photos! Thank you so much and all the best for your great and successful future. We would be happy to stay in contact and hear from you, how your small business develops. this is Steffi. Axel just sent me your email with the link to the pictures. I am really so touched and impressed by the results – I just wanted to write to you instantly and say “thank you so much! !” Also many thanks!! for your surprise, the slideshow – I´m really enthusiastic about it, what a great idea. I have to look at everything unhurriedly when I´m at home tonight – at the moment I´m at work. I ´ve been talking to Axel just now on the phone and he´s impressed, too! thank you very much for this first great foto! We will never forget this enchanting day and we are looking forward to your other fotos, which will always help us to remember everything. We are very happy that we had this good luck to find you. I think we never met a photographer who managed to be so invisible and sensitive while shooting fotos and had such artistically and beautiful results. Also there was a lot of feedback from many guests who admired your professional work!